In the last decade we have seen a rise in sequels, prequels, reboots, and remakes, however every once in a while we would get an original film that would become an instant classic. 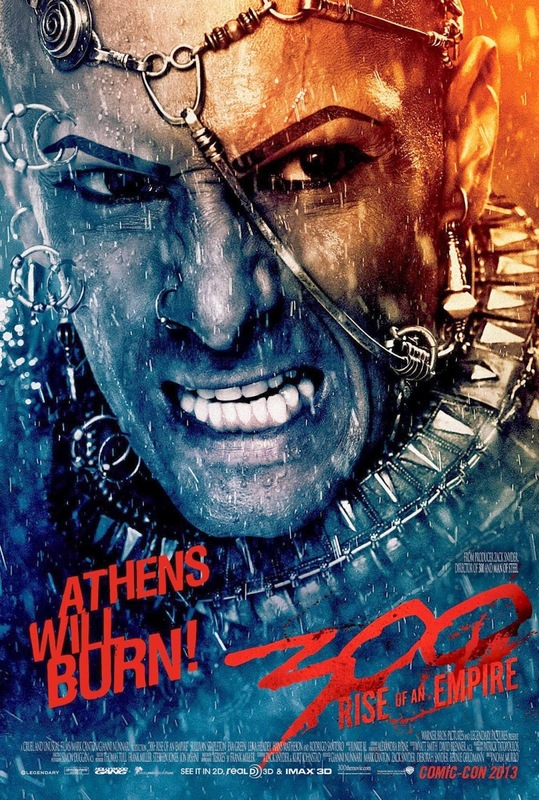 300, the film released in 2007, adapted by the Frank Miller novel of the same name, was that kind of film, an instant classic with a moderately small budget of $65 Million compared to $200 Million block busters these days that would seem the norm, 300 was a real sleeper hit, grossing $462 Million at the box office. It goes without saying that a sequel to the film, that sent millions of young men running to the gym for atleast a week after watching it, was inevitable. 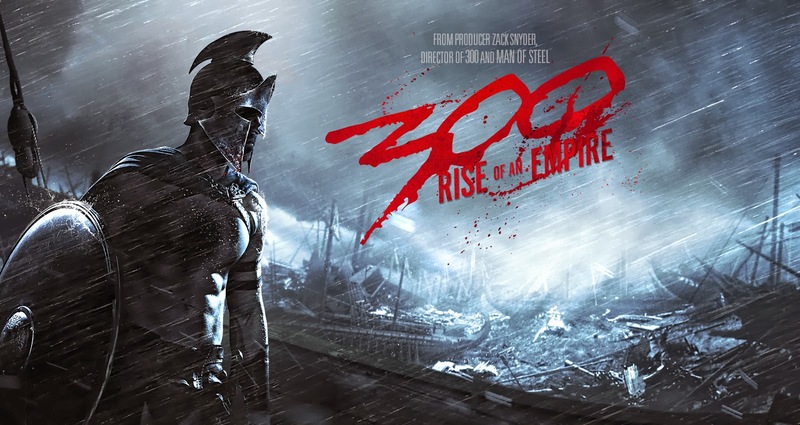 While many would deem a sequel to 300 unnecessary, which quite frankly it is, 300: Rise of an Empire proves itself to be quite a different oiled mission to its predecessor, while being an entertaining companion piece to it. After victory over Leonidas' 300, the Persian Army under the command of Xerxes marches towards the major Greek city-states. The Democratic city of Athens, first on the path of Xerxes' army, bases its strength on its fleet, led by admiral Themistocles. Themistocles is forced to an unwilling alliance with the traditional rival of Athens, oligarchic Sparta whose might lies with its superior infantry troops. But Xerxes still reigns supreme in numbers over sea and land. Rise of an Empire is not really a sequel or prequel to 300, rather it’s an almagamtion of a sequel, prequel and a spinoff film. Firstly don’t expect to see much of the Spartans in this film, Rise of the Empire is more concerned about the overall politics that surrounded the Persian and Greek war at the time. The story opens itself much wider then 300 ever did, expanding the story and going well beyond the confines of just the Spartans. We learn more about the tensions between the Greek States and we learn how the calamity between the Greeks and Persians started. We even get a little origin story on the great god-King Xerxes himself. It then moves to the same time frame of the battle at Thermopylae, with the 300 defending the Hot Gates, Thermistocles takes a fleet of ships to ensure no Persians vessels make their way around the Hot Gates by sea. Now while 300, ended with the deaths of the Spartans and then jumped one year later to the battle of Plataea, Rise of an Empire deals with the situation that arose right after the Persian made their way past the hot gates and into Greece. Rise of an Empire does a good job, of bridging the gap and sewing all these facets of the story together, connecting it to 300 while establishing the importance of the Athenians in this battle as well. However, the first act of the film felt a bit jagged, as the film’s pace was contunously halted by flashbacks. While the flashbacks do serve a purpose to expand the story, at times it just felt like it distracted from present narration, to the point that unlike its predecessor, there really wasn’t a build up to the first battle on sea. The film definitely does have its faults but its really entertaining. The film is chocked full of cool action scenes and some gorgeous cinematography during battle that would keep you smiling from ear to ear. Director Noam Murro, who replaces Zack Snyder who co-wrote and produced the film this time around, knew this is not going to be 300, so this time around he kept things light and moving with frantic pacing and energy. 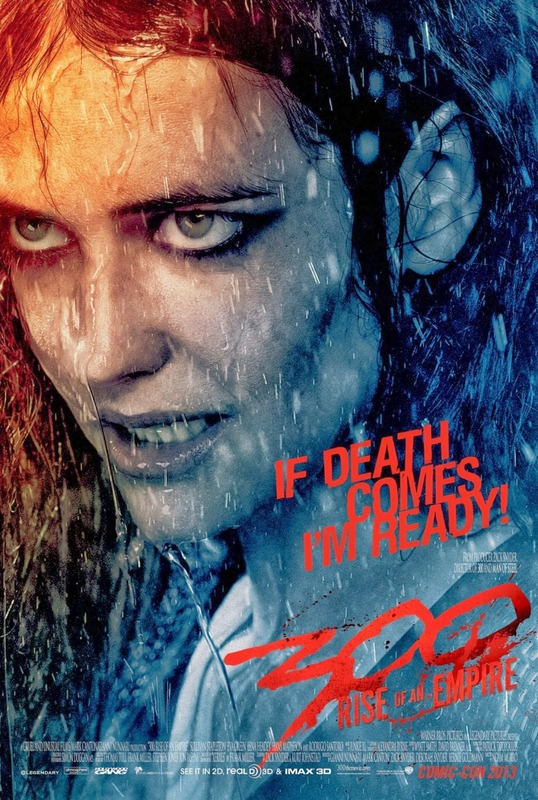 The real star of the film however, has to be Eva Green who plays Artemisia, our main antagonist for this film. Eva is just magnetic on the screen bringing out her sheer villainy with charisma and style. Artemisia is highly motivated, effeicent and loyal, she will stop at nothing to see Greece burn. She’s maniacal, cunning and ruthless, yet you understand her pain and anger towards Greece, and its in that empathy towards her that your feeling for the character grows. Eva steal's all the screen time in the film breathing life into this awesomely wicked evil character. 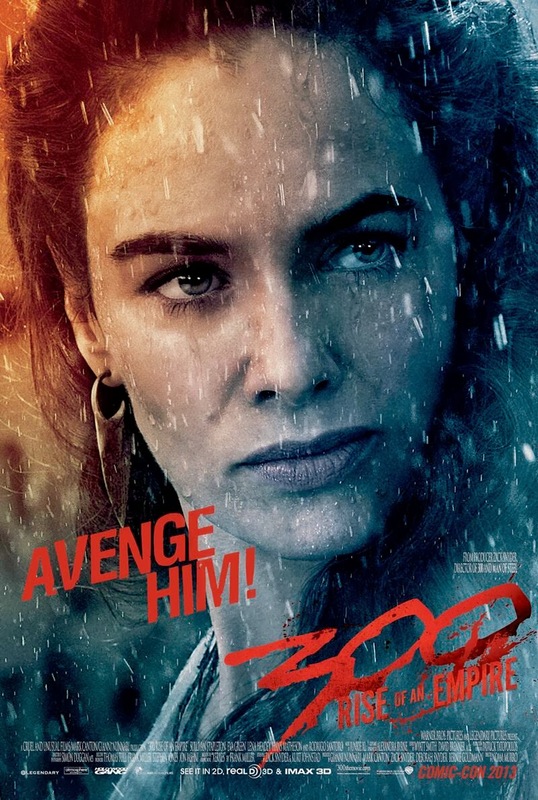 The real fun of the film though, is seeing many of cast memebers from 300 return for cameos or small roles, most notably Lena Headey and Rodrigo Santorro, who return as Queen Gorgo and Xerxes respectively. Their appearance in the film just leads credence to it and helps solidify this film. Queen Gorro is just spectacular in this film, as we get to see a different side to her, one as a leader and warrior, she's ruthless, stern, devoted and so wonderfully played Lena. While the film is fun and entertaining chocked full of blood guts and gore, the one thing I really missed in the film was the Spartans. I missed there boisterousness, wit and defiance. While the Greeks prove to be effective fighters they are plagued by doubt, misery and weariness at the task at hand. While the Spartans weren’t in this film that much, it wasn’t that much of a concern. What was a concern however was the fact that this film decided to play some of the same narrative beats that we seen in 300. It just harms the film more then it helps it, and makes it seem more of a poor B-Grade sequel rather then a full fledged high budget blockbuster. 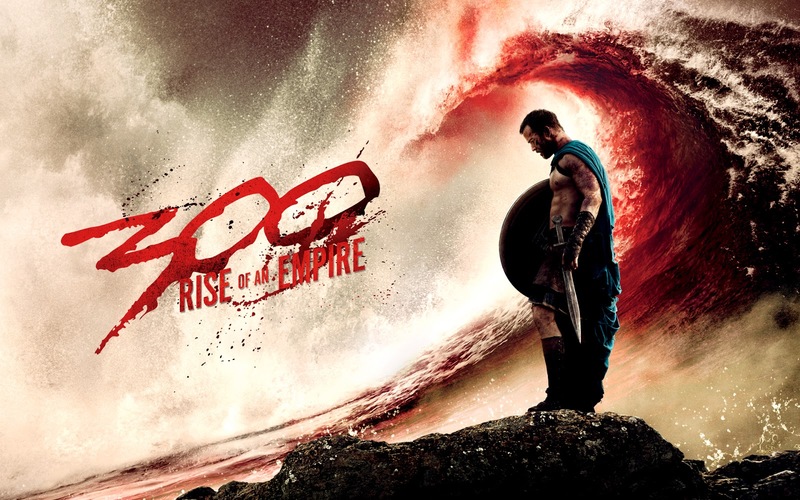 There are many things about 300: Rise of an Empire that might not gel well with you, but the overall film will certainly leave you entertained and possibly looking forward to a third instalment especially since the Spartans would probably factor into it again. It’s a film that has its faults, but when its works, it works brilliantly. It’s a film for fans of the original film as it weaves together a story that respects the original while adding more layers to it, which definitely adds to the lore of 300 rather then take away from it.